One morning it dawned on me that of the nine energy companies in our Venrock portfolio, a third are focused on China – yet none of them planned it upfront. I figured it would be good to understand how other cleantech start-ups have approached the middle kingdom, so I enlisted MIT MBA student (and fluent Mandarin speaker) George Miller to interview a representative sample and collect best practices. George spoke confidentially with 15 venture-backed cleantech start-ups that have set up Chinese operations. Every interviewee was either a C-level executive or VP of business/corporate development; the majority were CEOs. 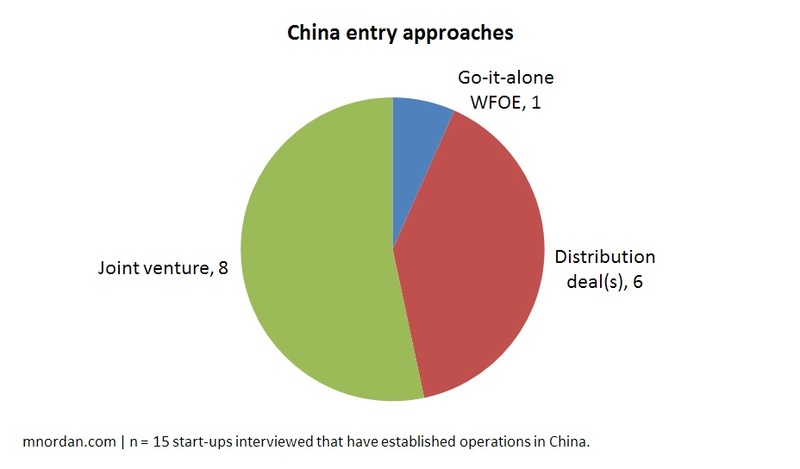 Nine of the 15 interviewees entered China primarily to sell into the domestic market, while the balance aimed to export from Chinese manufacturing facilities. 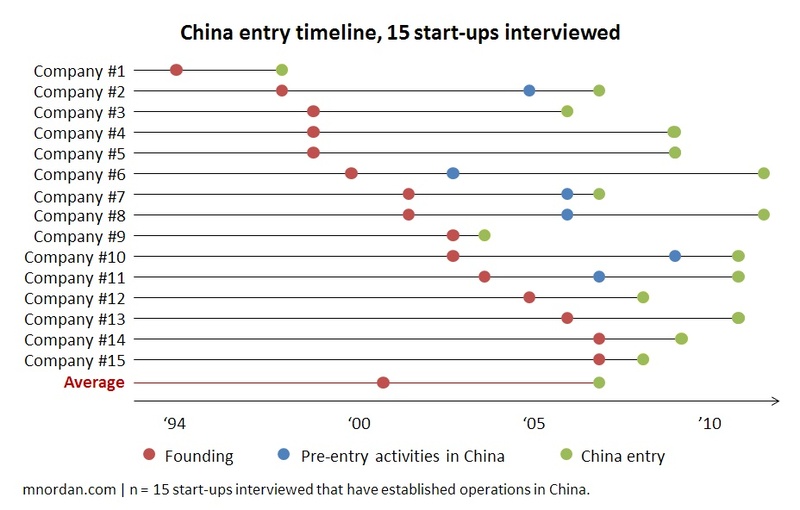 The average company is 11 years old and entered China five years ago. Most of our research findings are confidential to Venrock and the companies interviewed, but some high-level conclusions deserve a broader airing. China strategies have been mostly improvised. 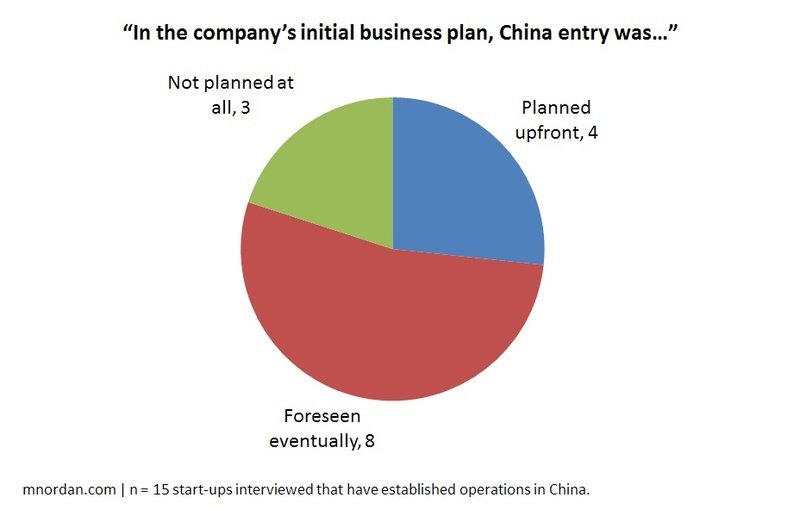 At all of the companies we spoke with, China is a big, board-level deal, ranking somewhere between “an important growth market” and “our sole focus.” Yet only four firms had a specific China plan at the formation stage, and three initially didn’t plan to enter China at all. Nearly all companies partner. The most common engagement model we found was a joint venture (JV) with a Chinese enterprise, represented by eight of the 15 interviewees. Six have set up distribution agreements but not full-blown JVs. Only one has gone it alone in China, with a standalone, wholly foreign-owned entity that manufactures and sells directly. IP is the big challenge. When we asked about key challenges experienced in China, intellectual property (IP) protection topped the list. This is no surprise – tales of IP leakage in the country are legion, with cleantech’s most glaring example being the outright theft of American Superconductor’s wind turbine software. General transparency in business dealings came second, and a cluster of people-related challenges followed. In contrast, interviewees didn’t find market access difficult: We heard that with strong government support and large pools of capital, the risk appetite for capital-intensive projects is greater than in most developing countries. JVs are the solution. Conventional wisdom says to protect IP by building moats – like splitting manufacturing steps across sites so no one person knows them all, or supplying a key “black box” component from outside China. Our interviewees employ these moat-building tactics, but they think bridge-building works best: The technique rated most effective was forming a joint venture with a large Chinese partner, incentivizing that partner with outsized ownership, and relying on its self-interest to defend the IP. Notably, every interviewee with a JV ranked this tactic the highest. It’s self-evident that these challenges can be mitigated by a strong in-country partner that knows the value chain and manages lots of people. Chinese joint ventures are no walk in the park. The average JV in our sample was three and a half years old, had taken longer to get going than expected, and was considered too early to call as a success or failure. Interviewees complained about long government approval processes and culture clashes along the way, and we didn’t hear any silver-bullet tactics for doing it right: The best practices were all things you’d expect, including intensive background checks of partner executives, JV agreements that maintain “face” for both start-up and partner (usually relying on profit-sharing), and experienced domestic legal representation. And clearly, you’ve got to be obsessive about picking a trustworthy partner – American Superconductor’s widely-publicized IP dispute is, in fact, with its former JV partner Sinovel. Despite all those caveats, I drew a clear conclusion from this work. Most cleantech innovation is happening in the U.S., but most adoption will be in growth economies building new infrastructure – with China at the top of the list. Chinese incumbents like Wanxiang, Shenhua, and ENN are scouring the west for technologies to pick up. In this environment, a cleantech start-up can either play defense at the barrel of a financial gun (see A123 Systems), or play offense, entering China on its own terms and timeline. If you’re going to do the latter, be prepared to partner up. George Miller is an MBA student focused on energy entrepreneurship at MIT Sloan, where he directed the MIT Clean Energy Prize. Fluent in Mandarin, George has consulted to nuclear energy companies entering China with Dynabond Powertech and supported the president of the Kauffman Foundation in fostering global entrepreneurship. He can be reached at georgemiller@me.com. Like many cleantech and renewable energy startups, Allen Hydro Energy Corporation (AHEC) http://www.ahecEnergy.com recognizes the potential of emerging and developing markets like China, India and Brazil. AHEC has a US Patent (Intellectual Property) that creates value for our startup and potential investors. Entrepreneurs take risks to create new and innovative technologies, products and services and the potential reward outweigh the risk. I too, believe that joint ventures are the best option when entering enw markets. Thank you Matthew Nordan for you insight and perspective. It is appreciated by me and many others.